Assassin’s Creed Origins is an action-adventure and stealth game developed and published by Ubisoft. It was released on 27th October 2017 for PlayStation 4, Xbox One and PC. 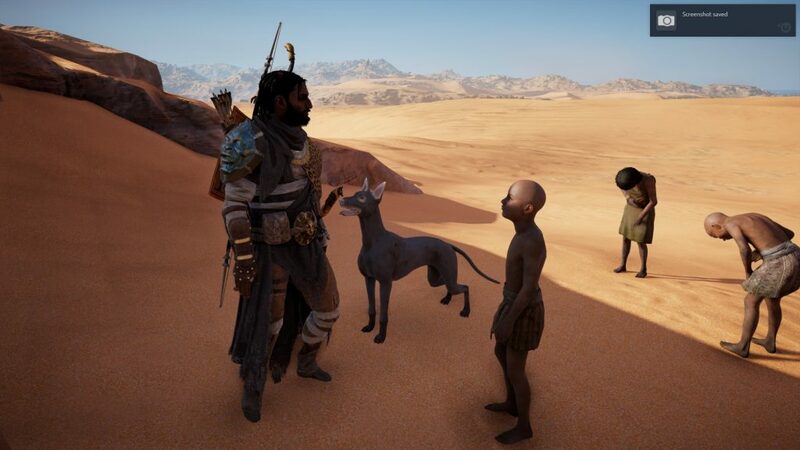 The game lets you explore a huge open world set in ancient Egypt full of quests and secrets to uncover. 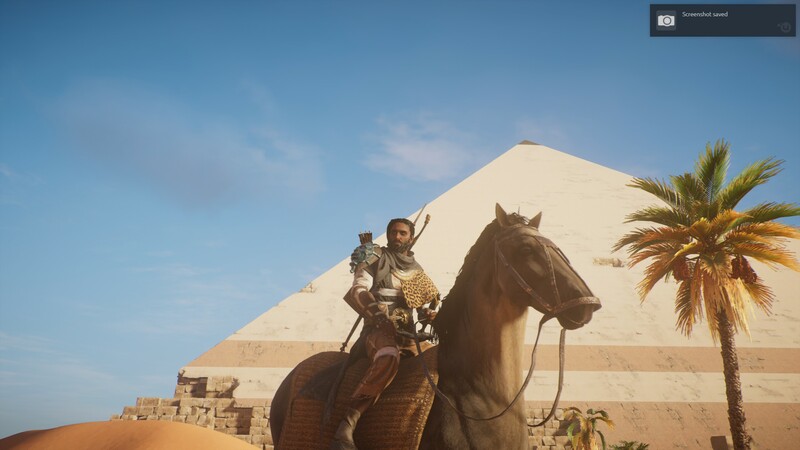 Assassin’s Creed Origins has you inhabit the role of Bayek of Siwa, a Medjay, who is sworn to protect the Egyptian people from injustice and oppression. 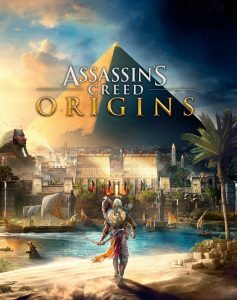 The plot follows Bayek and his wife Aya, who is also playable in some missions, on their quest to protect their people and stop The Order of Ancients, which tries to assume control over Egypt. The story of the game is quite interesting and has you travel all over Egypt to achieve the main character’s goals. The characters you meet along the way are interesting with very good voice acting and even the side quests are more fleshed out and waste hardly any time on having you fetch X-amount of items. 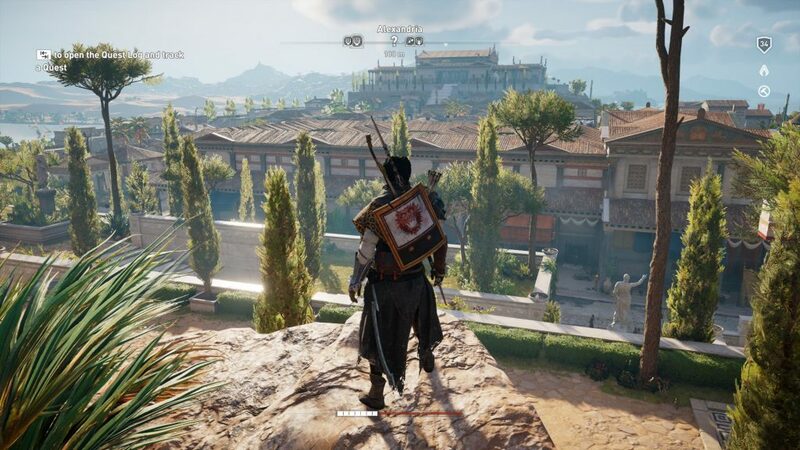 As in most Assassin’s Creed games you also get to visit well-known locations and sights like Alexandria or the Pyramids of Giza and meet famous historic people like Cleopatra and Gaius Julius Caesar. Unlike previous titles in the series, Origins features an RPG-like loot-system with tiered weapons that provide various stat changes depending on their tier and level. 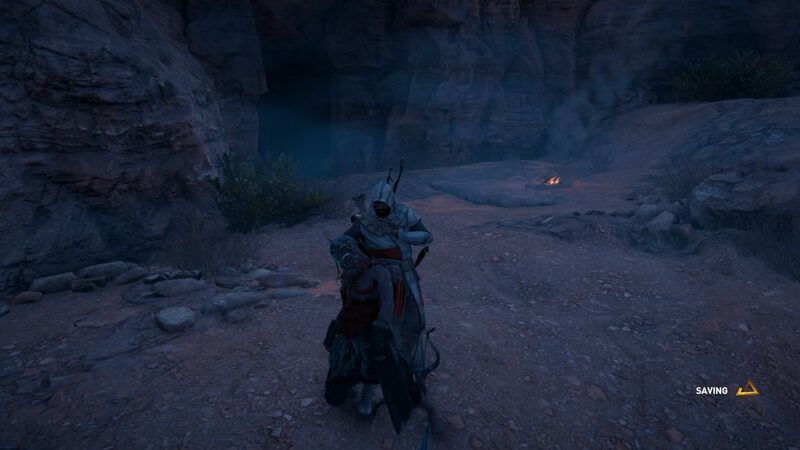 In addition to looted items, Bayek also has some fixed items like the Hidden Blade and his armor, which can be upgraded to for example improve your health or stealth damage and are independent of the gear you have equipped. You can also upgrade your older weapons to keep them viable, if you like them for their looks or certain stat bonuses. Upgrading your gear also becomes more important as enemies become harder to kill and having too little stealth damage might result in you having to fight your way out instead of stealthily clearing out an outpost. The combat is much more fast-paced and engaging than in previous titles and offers a lot of choices combined with the different available weapon types. You can dodge, parry and block and choose between light and heavy attacks. However, the targeting system can be a bit wonky. This is because the camera sometimes doesn’t follow the target you’re locked onto. Another change is the new movement system, which automatically makes your character run without you having to hold down a key. 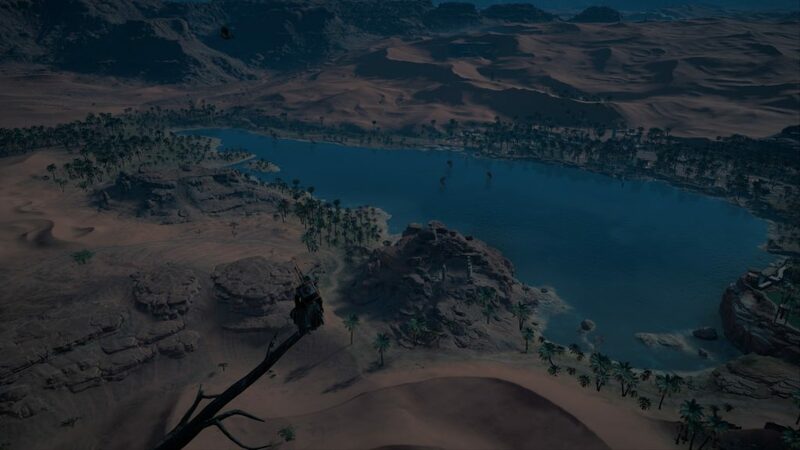 Bayek also only climbs while you hold the designated key. Therefore, you won’t end up accidentally leaping onto walls and obstacles while trying to remain running on the ground. Additionally, you can almost climb anything in the game, which creates a lot more freedom in your movement and allows you to fluidly parkour without having to lookout out for designated set pieces. 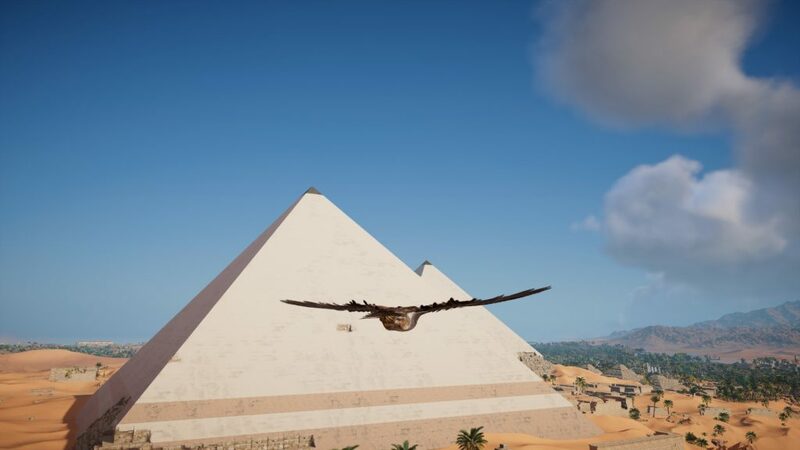 The game looks fantastic with gorgeous and very detailed environments that combined with the massive game world allow you to fully immerse yourself into the setting of ancient Egypt. The sound design with the already mentioned high quality voice-acting and an amazing soundtrack is also impressive. However, we have to mention that the PC-Version of the game is very poorly optimized, with ridiculous amounts of CPU load that results in occasional stuttering and fps drops, even on very powerful gaming systems. This is definitely an issue that Ubisoft should address in a patch as soon as possible as this has a very negative impact on an otherwise amazing experience. All in all Origins is one of the better entries in the Assassin’s Creed series and the effort Ubisoft put into making this a great game really shows and although the game, like previous titles, includes micro-transactions they are in no way required to progress through the game. However, they do reduce the potential value of the game and along with the sloppy performance on PC, the value drops quite a bit. Unless Ubisoft puts out a patch very soon to fix those issues, we recommend either buying it on console or waiting for a sale, when the game is cheaper and some of the performance issues have been fixed. 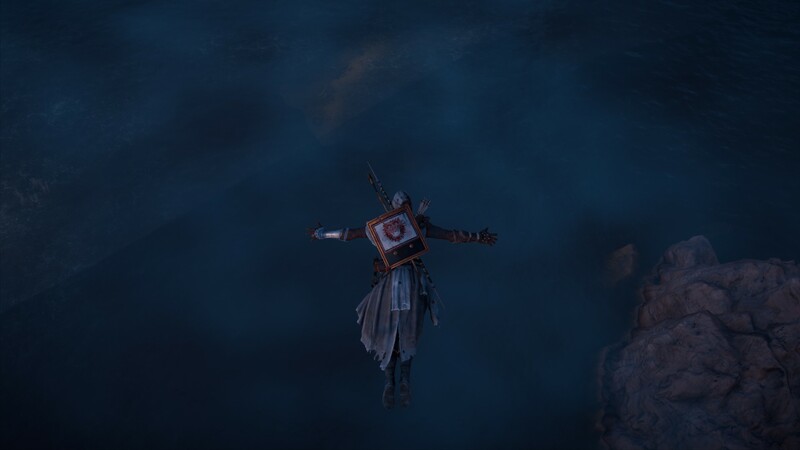 One of the better entries in the Assassin's Creed series.